If you haven’t already, check out our podcast with K2 ski designer, Jed Yeiser, where he discusses the origin and design background of K2’s brand-new ski line, the Mindbenders. We’ve already talked about the Mindbender 99Ti and 108Ti, but the line also consists of six women’s skis, and today we’re checking out the women’s Mindbender 98Ti Alliance. Like the Mindbender 99Ti, K2 is emphasizing the versatility and high-speed stability of the Mindbender 98Ti Alliance. And given the ski’s specs, those don’t seem like ridicilous claims to make. The Mindbender 98Ti Alliance’s shape is very similar to the Mindbender 99Ti’s, with pretty subtle tip and tail taper lines. This is a significant departure from the K2 Fulluvit 95Ti (the ski that the Mindbender 98Ti Alliance effectively replaces). The Fulluvit 95Ti had very dramatic taper lines, and the Mindbender 98Ti Alliance’s more moderate, less tapered shape makes it a bit more similar to skis like the Blizzard Black Pearl 98, Blizzard Sheeva 10, and Armada Victa 97 Ti. The Mindbender 98Ti Alliance’s tip rocker line is fairly deep compared to other skis in its class like the Black Pearl 98, Victa 97 Ti, and Liberty Genesis 96, though it’s still not as deep as the Fulluvit 95Ti’s. The Mindbender 98Ti Alliance’s tail rocker line is also fairly deep, though again, not as deep as the Fulluvit 95 Ti’s. Like the other Mindbender skis we’ve been revieweing, the Mindbender 98Ti Alliance’s tip and tail rocker lines don’t start rising off the snow / ground until near the end of the ski. These sort of mellow, low-slung rocker lines often equate to more effective edge on firm snow compared to skis with rocker lines that rise abruptly and quickly. The Mindbender 98Ti Alliance’s tips start very soft, and then smoothly ramp up. The midsection of the ski is quite strong, though its tail is notably softer than the Mindbender 99Ti’s, and still a bit softer than the Black Pearl 98’s. Overall, this seems like a nice flex pattern that is supportive where it needs to be, yet forgiving at the ends. The Mindbender 98Ti Alliance is not a very light ski, though, unlike the Mindbender 99Ti, the Mindbender 98Ti Alliance isn’t that far off from many other skis in its class when it comes to weight. We think the Mindbender 98Ti Alliance’s fairly heavy weight should make it more stable than many of the lighter skis in its class, but it’s by no means extremely heavy, and its moderate rocker profile and fairly forgiving flex pattern should help with its low-speed maneuverability. Like the other Mindbender skis, the Mindbender 98Ti Alliance has a very traditional mount point of just over -10 cm from center. Jed Yeiser did mention that the women’s Mindbender skis have mount points that are a touch more forward than the men’s skis to accommodate different skiing stances / styles. And compared to the men’s Mindbender 99Ti (mount point of -11 cm from center), that does appear to be true of the Mindbender 98Ti Alliance. (1) K2’s Mindbender skis are designed to be precise through the front and middle of the ski, but with tails that are still easy to release / slide. So will this be true of the Mindbender 98Ti Alliance? (2) The Mindbender 98Ti Alliance sits on the heavier end of the spectrum, so how will it compare to other metal-laminate skis like the Nordica Santa Anas and Armada Victa 97 Ti when it comes to stability? (3) While it’s fairly heavy, the Mindbender 98Ti Alliance’s rocker profile and flex pattern suggest a ski that should still be fairly easy at slower speeds and in tighter terrain. So just how comfortable will the Mindbender 98Ti Alliance feel at higher and lower speeds? (4) With a pretty deep tip rocker line and a softer shovel, the Mindbender 98Ti Alliance seems like it’d do well in softer snow. So how well will it balance firm and soft-snow performance? The K2 Mindbender 98Ti Alliance is a fairly heavy ski with a pretty traditional shape — something we see in a lot of the more stable skis on the market. But the Mindbender 98Ti Alliance also has a forgiving flex pattern and fairly deep rocker lines, which is more in line with some of the easier skis on the market. So what’s the result? 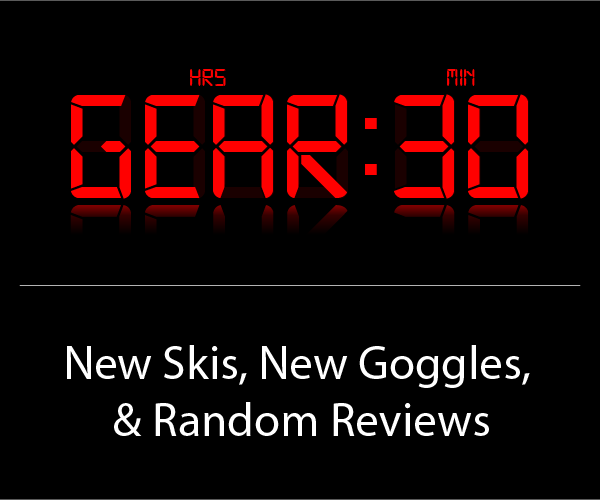 We’re currently spending time on the ski, so stay tuned for our full review.